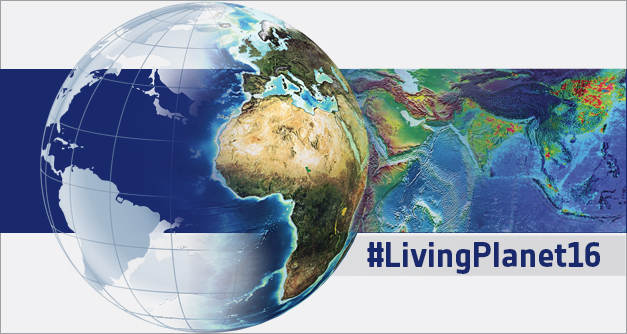 The 2016 European Space Agency Living Planet Symposium followed the previous successful symposia held in Edinburgh (2013), Bergen (2010), Montreux (2007) and Salzburg (2004). The event was held in Prague, Czech Republic from 9-13 May 2016 and was organised in cooperation with the Ministry of Transport, Ministry of Environment and Ministry of Education, Youth and Sports of the Czech Republic and the local support from Charles University in Prague. A first announcement has been released, with a deadline for abstract submission on 16 October 2015. Authors can check here their submitted abstracts. All received abstracts have been reviewed by a Scientific Committee, notification of acceptance has been provided in early February 2016. Registration to attend the event (free of charge) has been opened in February 2016 with deadline on 22 April, after the publication of the preliminary programme. Poster authors received a QR code to be inserted on their printed poster, to disclose further information about their work. Digital poster authors submitted videos that are available on the dedicated YouTube channel. We thank our Sponsors for the support. Full papers for accepted contributions must be provided by May 23d and will be published as ESA Special Publication. An Exhibition was running from 9 to 12 May 2016. Before the official opening on Monday 9 May, keynote presentations have been provided. With some 3000 participants this has been the largest event in Earth Observation ever organised by ESA.